RBI had on February 12, 2018 issued a circular saying that lenders have to provide for resolution plan within 180 days in case of large account of Rs 2,000 crore and above. The Supreme Court on Tuesday quashed the RBI circular of last year that pertains to the provisions for declaring a company bankrupt even on a one-day overdue. Rating agencies and industry analysts have said the Supreme Court striking down the February 12 RBI circular on loan defaults as credit negative for banks as the debt resolution process may have to be started afresh. International rating agency Moody's in a note said voiding of the circular is credit negative for banks. "The circular had significantly tightened stressed loan recognition and resolution for large borrowers. But, with the voiding, this may now have to be watered down," it said. Moody's also said the resolution of stressed loans impacted by the circular will be further delayed as the process may have to be started afresh. The bankers had asked some relaxation in the one-day default norms of the February 12 circular but without any success. This led 34 power producers to drag the regulator first to the Allahabad high court, which asked RBI to offer some respite, but the RBI did not budge and challenged it in the Supreme Court last year. Domestic rating agency Icra in a note said the circular removed discretion with banks on resolution on stressed accounts by requiring them to compulsorily implement a resolution plan in a time-bound manner or refer the affected borrowers under Bankruptcy Code for resolution. "Despite quashing of the circular, banks will continue to have an option to refer such defaulting borrower under IBC, in case the resolution plans fail," Icra said. 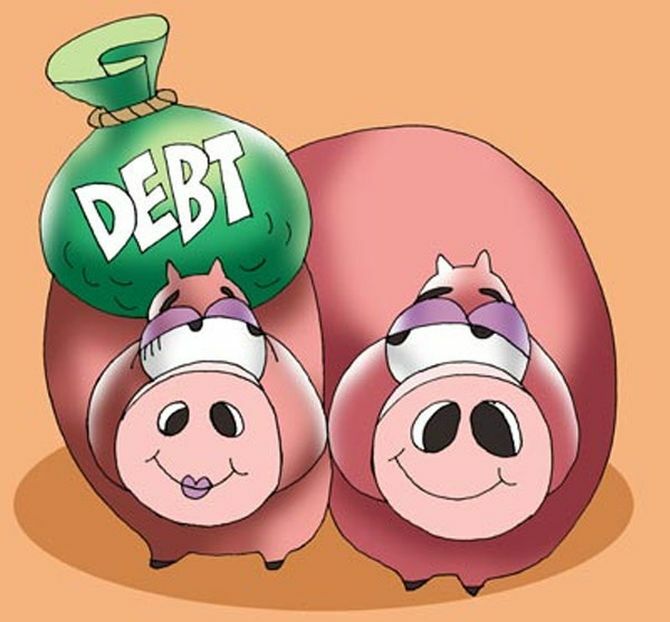 The agency had estimated total debt impacted due to the February 12 circular to be around Rs 3.8 lakh crore across 70 large borrowers of which Rs 2 lakh crore across 34 borrowers were in the power sector. It had said 92 per cent of this debt has been classified as non-performing by banks as of March 2018 and also made provisions of over 25-40 per cent on these accounts. "Hence the quashing of circular should not impact the reported asset quality of profitability numbers, however, the resolution process, which was expected to be expedited, may get delayed," Icra said. Audit firm EY India said the SC ruling will raise significant questions around the timely reporting and resolution under IBC --the primary reason behind IBC law. "There are a host of willful defaults and frauds still under the IBC, and more clarity would be required on how the same would be dealt with by resolution professionals/committee of creditors," EY said. Legal experts have given mixed views on the Supreme Court judgement quashing the Reserve Bank's circular on bad loan recognition saying while the ruling is a "great" setback for banks, it also offers relief to the troubled companies. Leading law firm Cyril Amarchand Mangaldas termed the order as a major development. "While it is too early to say but if banks voluntarily still invoke the IBC, practical impact will be minimal," Cyril Shroff, managing partner at Cyril Amarchand Mangaldas said. The Supreme Court order holding the circular as unconstitutional is a great set back in respect of the actions initiated by banks before NCLTs against the defaulting companies which were covered under the impugned circular, said Rajesh Narain Gupta, managing partner at the city-based law firm SNG & Partners. The order may require banks to decide on case-to-case basis to initiate action under the IBC at their discretion as per policy and not being guided by the RBI circular on such a decision, he said. A legal expert who specialises in bankruptcy laws opined that the RBI circular was considered a bit too stern by many in the industry, especially the 180 days deadline. "The 180 days deadline and default by a day causing mandatory bankruptcy action irrespective of business and sector specific issues was probably considered severe," Babu Sivaprakasam, partner at the city-based law firm Economic Laws Practice said. "A blanket direction for mandatory initiation of insolvency proceedings and simultaneous withdrawal of other resolution and restructuring options has probably left banks with few other options other than bankruptcy resolution against a defaulting debtor," Sivaprakasam told PTI. Gupta also noted that large resources and costs have been put in by banks as well as borrowers in various matters pending before NCLTs and the NCLAT. The time already spent by the industry including in the courts has been unprecedented. "The ruling shows that how a questionable administrative decision can be immensely counterproductive. “This is certainly a setback to IBC initiatives at least for the short-term," Gupta added. On the other hand, Ashish Pyasi, a principal associate with Dhir & Dhir Associates, opined that it will be a relief for some companies where the CDR was at a advanced stage but due to the RBI circular they couldn't take that forward and instead taken to NCLT. "With the RBI circular being struck down, the earlier circulars of RBI would stand revived which were changed by the impugned circular and now those companies can request the lenders to reconsider their restructuring plans," he added. Details from the order are yet to be seen as to what will happen to the companies which are already before NCLT due to impugned circular, he pointed out. Though the petition was filed by some of the companies from specific sectors like power the benefit of this judgement will be available to all, he added. "There is also a question mark over existing processes which may have been completed/nearing completion," he said. "However, with the threat of IBC proceedings mitigated, it will give some breathing space to power companies and lenders as well as flexibility to restructure debts in a manner which ensures continuity and value maximization for lenders as well as power companies." Power sector was the worst hit by the circular and so were companies in steel, textile, sugar and shipping sector. The power sector argued that outstanding loans of Rs 5.65 lakh crore (as on March 2018) were a result of factors beyond their control such as unavailability of fuel and cancellation of coal blocks. Mukerjee said the Supreme Court verdict along with recent government decisions implementing the recommendations of the High-Level Empowered Committee will provide much needed respite and impetus to regulatory reform in the power sector.